Adductor Longus is a triangular muscle which is located in the exact same plane as pectineus. It forms the floor and medial boundary of the femoral triangle. It originates by a rounded tendon from the front of the body of pubis in the angle between the pubic crest and the pubic symphysis. The muscles slope downward, backward, and laterally as a broad fleshy abdomen to be added into the middle one-third of the linea aspera. The Nerve Supply is through the anterior section of the obturator nerve. It’s a strong adductor and medial rotator of the thigh in the hip joint. In horse riders, the rounded tendon of adductor longus frequently gets calcified as a result of its friction together with the horseback. This calcified tendon is named rider’s bone. Some authorities are of view that rider’s bone is a sesamoid bone, which sometimes grows in the tendon of adductor longus. Which is a triangular shape muscle which is located in the exact same plane as pectineus? 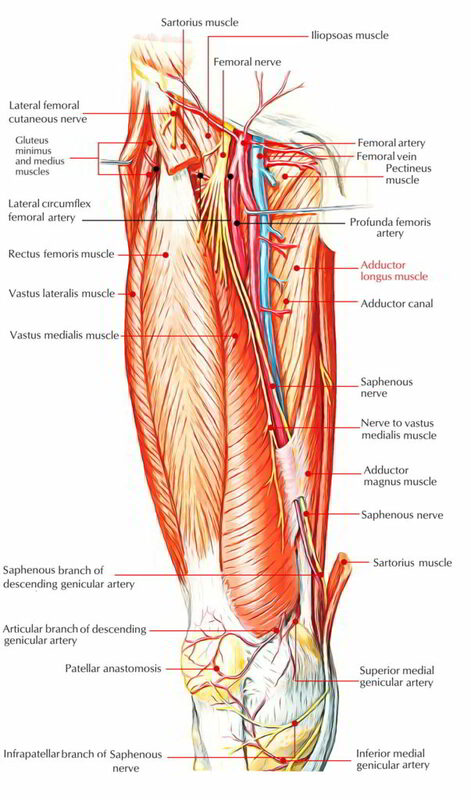 Where does Adductor longus muscle originate from? Front of the body of pubis. Anterior part of iliac crest. Lower part of the intorchanteric line. Which nerve supplies the Adductor longus muscle? Which tendon is known as “rider’s bone” ? Rounded tendon of adductor longus.